"Sometimes you have to go through difficult times as a team, and failures, to learn and to improve." Tube stops renamed in his honour. Marks & Spencer waistcoat sales doubling. 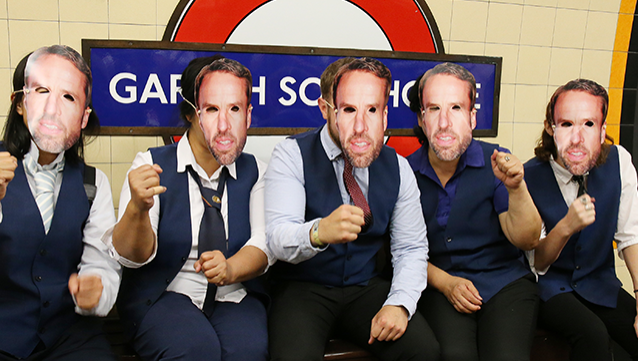 Adapted noughties pop songs; Gareth Southgate has come a long way since his very public humiliation on a muggy evening at Wembley in 1996. Expectations were low when he took up the mantle of England manager from Sam Allardyce. But Southgate defied the naysayers, managing to unite the country at a time when disunity is the norm. He has learnt from his own mistakes. Gareth Southgate was never first choice to replace Sam Allardyce. He was the under-21 England coach who stepped into the breach as a supposed stop-gap, whilst higher profile names were touted around as a permanent option. He has shown the kind of modern leadership qualities that are revered both in sport and business. Even under tremendous pressure, Southgate led by example and showed enormous professionalism. His own failure in 1996 defined his meticulous planning for the tournament– England’s first penalty shootout win in World Cup history is testament to this – and he exuded calmness when he needed to. Trusting the process that he and his backroom team had set in place for every eventuality was vital. Most importantly, Gareth Southgate is empathetic. He knows what it is like to fail in front of millions. The England team responded to his methods because Southgate knows what it is like to suffer so publicly. The photo of Southgate with his arm around Colombia’s Mateus Uribe is one of the most enduring from the 2018 World Cup. Consoling someone who had failed as he had was almost as important to him as winning the shootout. The England team was chosen on merit and on how the players would interact with each other; England were stronger as a collective than as a group of individuals. England’s squad was not the most talented in the tournament, but their team spirit and emotional unity (as well as the luck of the draw) carried them further than anyone expected. This emotional aspect of the team was not one previous England managers had specifically focused on. Various anecdotes have come out of the England training base in Repino; the team themselves introduced a mobile phone ban at mealtimes to encourage bonding and interaction. It worked. Photos of the players saying their goodbyes at the airport when they landed in the UK were genuine and their posts on social media, a modern gauge of morale, were telling. Southgate’s vulnerability is now not viewed as a sign of weakness and it hasn’t impacted his authority. Vulnerability and insecurity are part of everyone’s lives and the sporting and business arenas are no different. His is the kind of modern leadership that companies should be encouraging and cultivating. It is by no means easy, but by taking a long-term view and working towards a future goal, it helped both Southgate and the England team thrive. He has created the kind of team spirit companies envy. Southgate is a thoroughly modern leader, in touch with himself, his team and his audience, meaning that all parties believe in the journey he is taking the England team on. He may also have been lucky; business leaders don’t necessarily get a second chance to apply the lessons they have learned from failure. Southgate’s redemption, however, may be indicative of a sea change in attitudes towards failure. Failure no longer makes the person the pariah it may have done even five years ago. If it can happen in the cutthroat environment of football, there’s no reason it can’t happen in business. While it may not have come home this year, Southgate restored pride and brought a nation together.